How you go about doing a task means much more than just getting the task done. Sometimes I see people get so over focused on getting a task done, they forget about the lesson in the task. 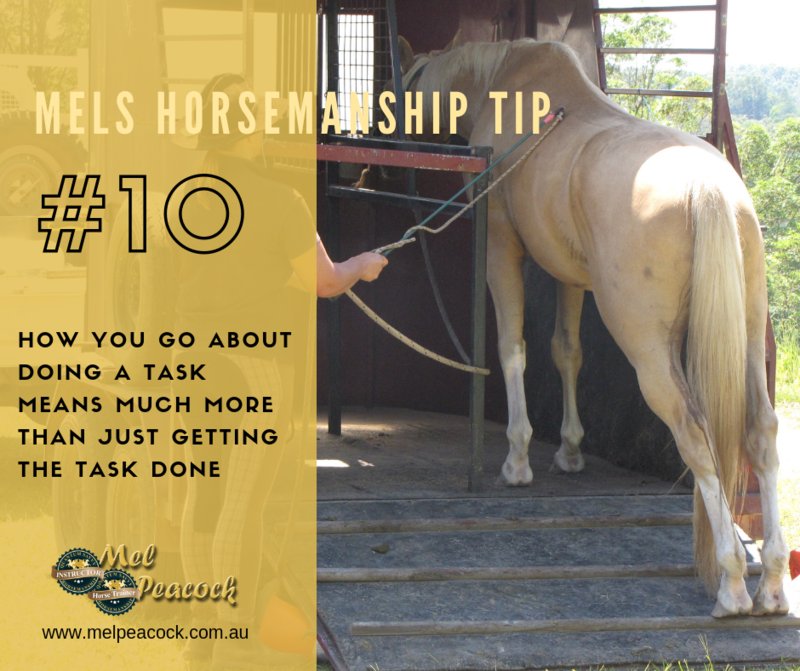 Try breaking your task down into smaller steps to help your horse understand what you want and you will build their confidence in doing the task. If you have this, the task will get easier each time you do it.